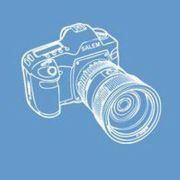 The Salem Digital Photography Group lets local photographers share their passion with fellow photographers in the area. The group provides many opportunities for growth as a photographer. Monthly meetings allow for discussions on the latest gear and software. Swap tips, techniques and share your images and stories. Shoot events encourage group members to get out and make photographs or attend workshops to hone your skills on all things photography related. The group is driven by its members. At quarterly planning meetings members dictate the direction of the group. Whether you have just bought your first digital point and shoot or work as a pro, this group has something for you.